Register now for a chance to win one of 300 copies (£16.99 value)! Three of the process and operational excellence community’s foremost thought leaders have joined forces for an exciting new book. And you have a chance to win a copy! In “How to Deliver a Compelling Customer Excellence Program,” you’ll discover why Customer Excellence (CEX) will become not just the new battleground for business, but the new measure of success. Co-authored by Dr. Gero Decker, Mark McGregor and Jim Sinur, this soon-to-be-released book makes the case that Customer Excellence should be the new North Star for all businesses, creating a need to transform the way they approach OpEx, CX, technology application and more. 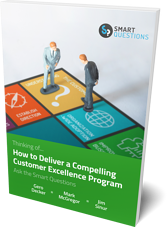 “How to Deliver a Compelling Customer Excellence Program” promises to be a must-read for anyone involved in process, operations or organizational transformation. Register today to enter for a chance to win a free copy, and keep an eye out for more great insights into Customer Excellence, the next $100 billion market. In addition to this new book — to be released in June — the authors will be working on several supporting webinars, seminars and other materials for trainers and consultants to use in their own work. Also stay tuned for news about “Customer Excellence: The New Business Imperative,” the companion book scheduled for release in November 2019. Gero Decker is responsible for Signavio’s overall strategic direction. He is a business process management expert and passionate about product innovation. Before creating Signavio, he worked for SAP and McKinsey. Gero holds a PhD in Business Process Management from Hasso-Plattner-Institute. 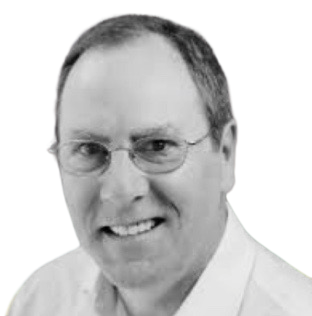 Mark McGregor is a former Research Director at Gartner, with a depth of experience in enterprise architecture, business process management and change management. Jim Sinur is a distinguished thought leader covering digital transformation, the digital business platform (DBP), the Internet of Things (IoT) and more. Jim spent 20 years at Gartner, where he was critical in creating the first Hype Cycle and Maturity Model, which have become a hallmark of Gartner analysis, along with the Magic Quadrant. Prior to Gartner, Jim was a director of worldwide technologies at American Express.